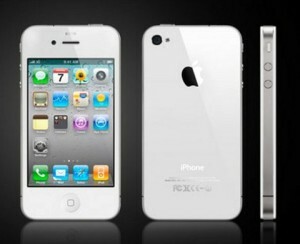 Is Apple after a rather controversial iPhone4, playing safe with White iPhone 4? With over several types of problems reported regarding the Apple`s latest iPhone 4, the much awaited White iPhone 4 had been delayed this year, with original release date somewhere around this past July. Reasons behind the unexpected delay have been rounded up to some difference in the white home button and the white on the faceplate of the device. Apple CEO Steve Jobs was reported saying “White models of Apple’s new iPhone 4 have proven more challenging to manufacture than expected,” Jobs said, with no specific details regarding the issues behind the delay. A man, who wished to remain anonymous, was recently spotted with the latest gadget under debate and told the story of how his friend, who is an employee at the Apple headquarter, helped him out with it. To believe that Apple, who is well known for keeping its secrets, could let his employees give away the latest product to friends is hard swallow. Whatever the case may be, it seems as if you all will have to wait for this one for time. Apple may Launch White iPad 2.